Canon Circle, No.111, September 1969; Kawada, Sei naru sekai -- Sacré Atavism, Shashin Hyoron-sha, 1971, pp.220-21 (illus. ); this print is reproduced in Camera Mainichi 20th Anniversary Issue -- 100 Photographers: Profiles & Works, December 1973, p.79; Kawada Kikuji: Nihon no shashinka 33 [Japanese Photographers, Vol.33], Iwanami Shoten, 1998, pl.24; Kaneko & Jimbo (eds. ), Kikuji Kawada: Theatrum Mundi, Tokyo Metropolitan Museum of Photography, 2003, pp.34-35 & 135. This is the actual print reproduced in the 20th anniversary issue of Camera Mainichi (1973) and gifted by Kawada to the editor. For this special volume, 100 contemporary photographers were asked to select one photograph from their own body of work. Kawada chose this extraordinary image of a prostitute on the Reeperbahn in St. Pauli, Hamburg's notorious red-light district. 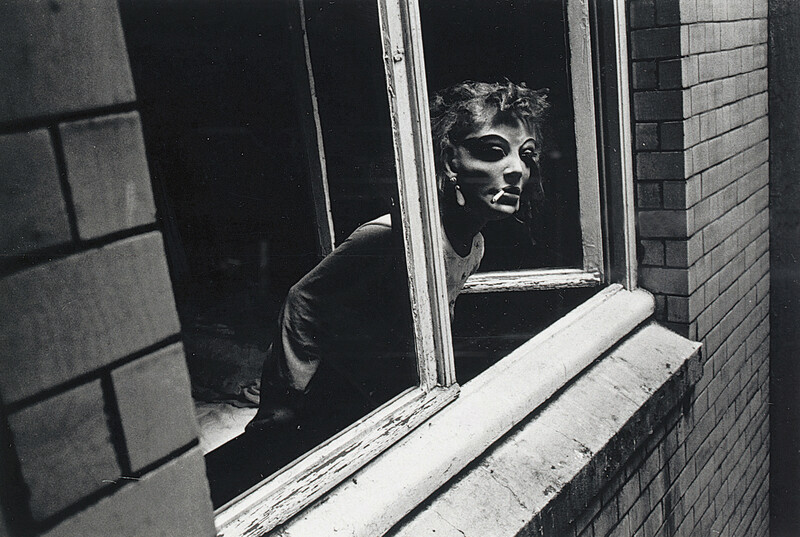 He shot this picture while travelling in Europe in search of the grotesque and the baroque for his second book Sacré Atavism (1971). The present lot is one of only a few vintage prints made of this image. It can be said that Sacré Atavism began with this image. As evidence, if one were to strip this book of its photographs, one by one, until all were gone, the afterimage of 'Woman of Sankt Pauli' will still remain.